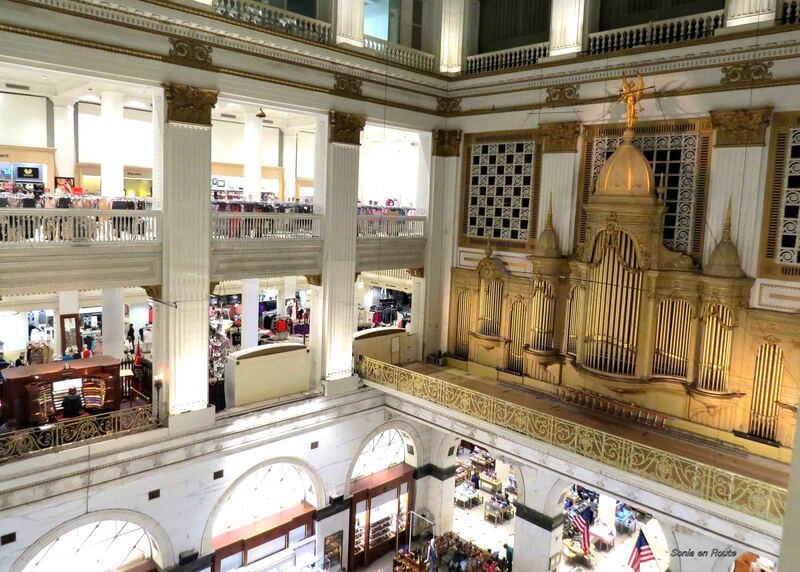 If you step into Macy’s department store in Philadelphia, you will have a big surprise waiting for you. 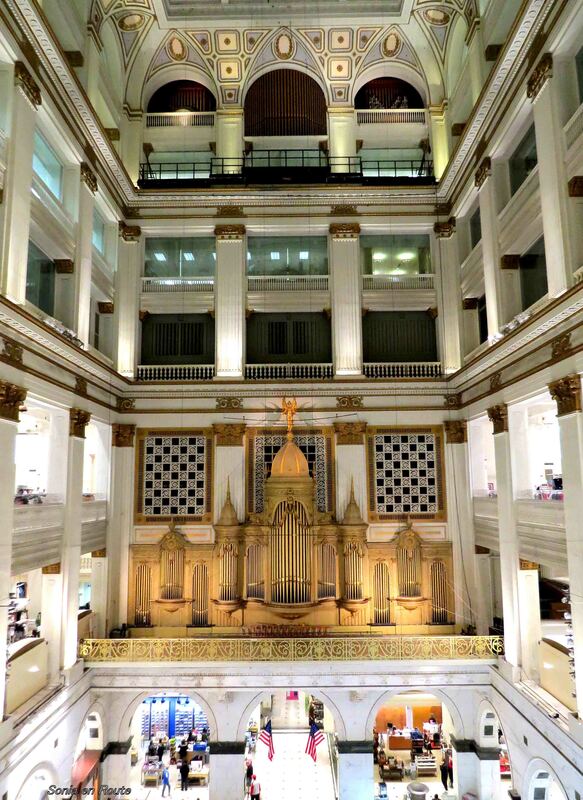 One whole wall of the 7-story court is occupied with the largest pipe organ in the world. Known as the Wanamaker Organ, it is played at least twice a day from Monday to Saturday, with many additional concerts during Christmas season. Surprisingly for me, the organist does not sit under the organ as I would expect it, seeing it in most churches. I had to look for him since he is not visible from the ground floor. Only as I walked to the third floor and stood facing the organ, I saw his console on the left. It is an interesting placement – his console is fenced so that no one can disturb him, but it is surrounded by racks of clothing. 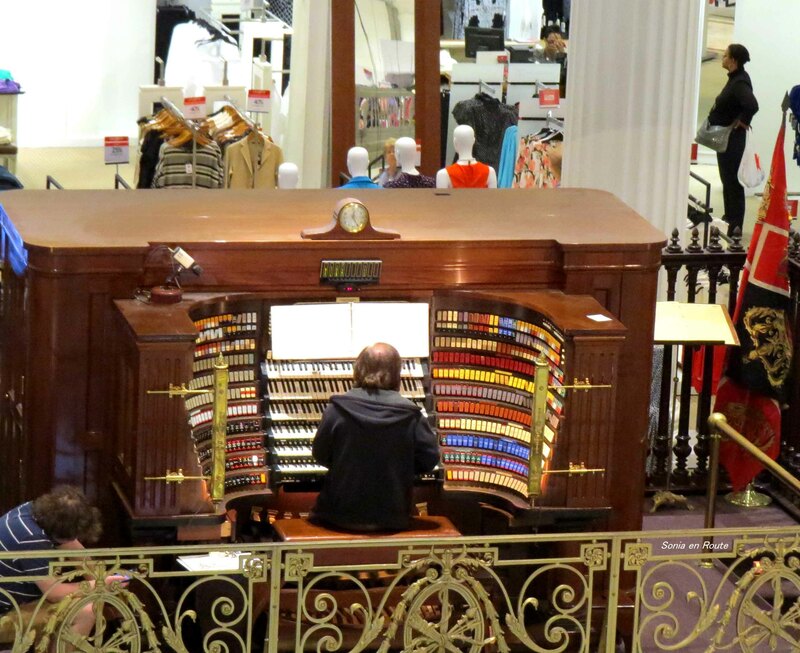 The experience of shopping while being immersed with resounding organ music is very unique. I tried to concentrate on the shopping part, but it was really not possible with beautiful music surrounding me, so I wandered aimlessly through three floors listening to various organ compositions. The concert – if I may call it that – lasts about an hour. If it depended on me, I would have provided chairs for people who come there only to listen and not to shop. My contribution to Weekly Photo Challenge – Surprise. That would be a big surprise for me! Beautiful photo of this organ! Commerce beaten up by art. Victory!